This past weekend, soccer teams from around the country came together for the annual “Kick It 3v3 World Championship Soccer Tournament” at ESPN Wide World of Sports. Devan and his team, FC Lake Helen, competed at the EID (Elite Invitational Division) the highest level division against teams from Texas, Miami, New Jersey and other parts of the nation to win the silver, 2nd place trophy. His teammates were gathered from different clubs in the area to represent Central Florida. Most impressive was that this team had only practiced once prior to this huge event whereas most of the other teams in this competition had been together in competition for years. Great job Devan and congratulations to his team!! Post written by I.T. 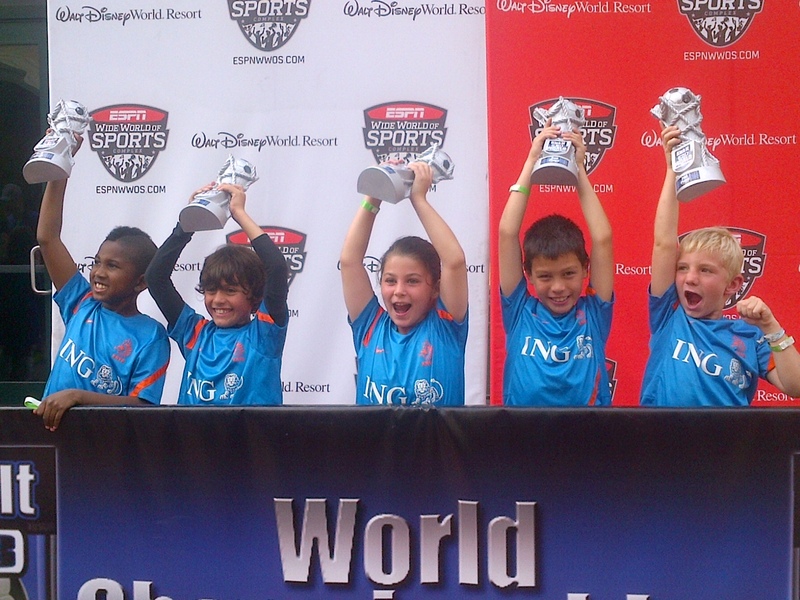 and submitted by DisneyTipsPics about Kick It 3v3 World Championship ESPN Wide World Sports Soccer Tournament.